Mark has been working on cars since high school. 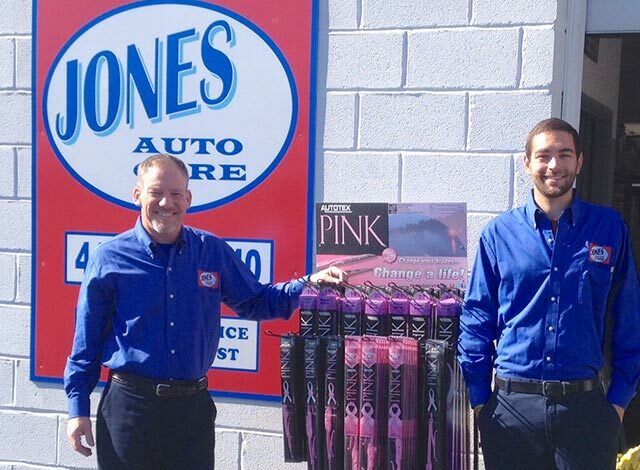 Before opening Jones Auto Care, he worked for a service station in Olney, MD for 17 years. He always wanted his own shop, but never seemed to find the right place until Mark and his wife spotted a property for rent and decided that it was a great opportunity. After some praying and planning, they started Jones Auto Care. The small shop blossomed after word got around about their honest service and attention to quality. Mark hired two master technicians and a service writer who are just as dedicated to taking care of customers. Jeremy is a dynamic service writer and manager with a friendly personality and extensive automotive knowledge. Jeremy, who has a love for European automotive performance, is a graduate of Lincoln Technical Automotive Institute. He worked as a technician in a BMW specialty shop before joining Jones Auto Care in 2013. He completed the Management Success Service Writer school in 2013. He has the unique ability to take a complex job and simplify it so the customers understand all options and benefits of service. Lisa has excellent management, customer relations, and marketing skills. Customers hear her friendly voice when she gives follow-up calls to make sure they are satisfied with the service at Jones Auto Care. Tim is an ASE Master Technician with over 25 years of experience. He joined the Jones Auto Care team in 2012. Tim is highly skilled in all phases of automotive diagnosis and light truck repairs. Tim specializes in automotive computer electronics and performance diagnostics. He brings a positive attitude and attention to detail. JD is an ASE Master Technician with over 10 years of experience. JD has a wide range of knowledge of domestic and foreign vehicles. He is a versatile technician with amazing fabricating skills. He's one of those technicians who can fix anything that has a motor or wheels. He is always friendly and eager to tackle automotive challenges.